Exposure to toxic black mold can lead to a variety of different health problems. Children, the elderly, and individuals with weak immune systems are the most susceptible to toxic black mold symptoms such as difficulty breathing, mental impairment, and organ damage. In extreme cases, exposure to toxic mold can even result in death. If toxic mold is present in your home, just breathing in its mycotoxins can inflame air passages and cause a burning sensation in one’s nose, mouth, throat or lungs. A new paint job goes a long way in keeping your residential property in top shape and also serves as a protective barrier for your home against inclement weather. Though advice ranges from repainting your home every three years to up to ten years — and factors such as the climate, surface type of your home, and quality of the previous paint job should also be taken into account — one thing is certain. Before you commit the time and effort to painting your house, it’s important to prepare the surface of your home with an effective pressure wash. There are some stains that a garden hose, even with some scrubbing, is unable to remove. Whether it is a house, deck, driveway or sidewalk, dirt and mold that has built up over time will not all come off through a simple clean. Instead, property owners turn to power washers. With the press of a trigger, water accelerates out of the power washer at a rate of up to 75 times faster than a garden hose to remove stubborn and unsightly stains. But how does a power washer work? 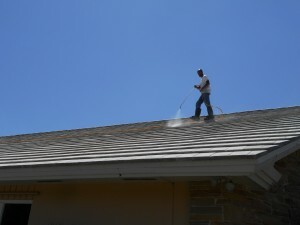 When homeowners notice their house, roof, driveway and deck have started showing signs of age, they know it’s time for a power wash. However, some allow the temptation to save money cost them in the long run, because they believe they can power wash their own homes instead of turning to a trusted professional. While home improvement stores do offer rental equipment, it’s best to avoid turning it into a do-it-yourself project when it comes to the longevity of your property. 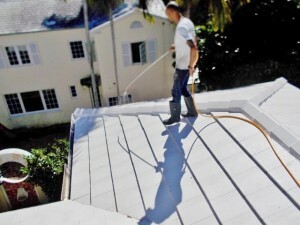 Here are three reasons homeowners should hire a professional power washer. CSI: Miami needs to clean up their act! Or so their production company told me when they had us pressure clean these two halves of this ’57 Cadillac. So, I get this breathless call early one rainy morning asking to send out a crew of my techs on an urgent job regarding a ’57 Cadillac in a swimming pool in a chi-chi neighborhood on the beach. Who say’s pressure cleanin’ ain’t romantic? At the break of dawn our crew of tech’s gets to work on this high profile star’s waterfront home! So, you want to know a dirty little secret of pressure cleaning? …even the star’s need to clean their beautiful waterfront home’s from time to time. Busy, busy, busy. We’re pressure cleaning all over the place! 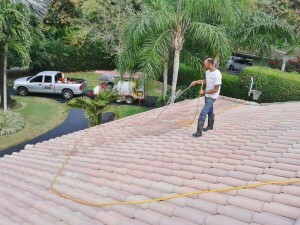 The Boss at Ultra Pressure Cleaning lets you in on the nitty-gritty of pressure cleaning in South Florida. We’re getting it done! Ok, this is pretty exciting. My first post on Cleanin’ Up, our blog. So, let’s do this thing together.